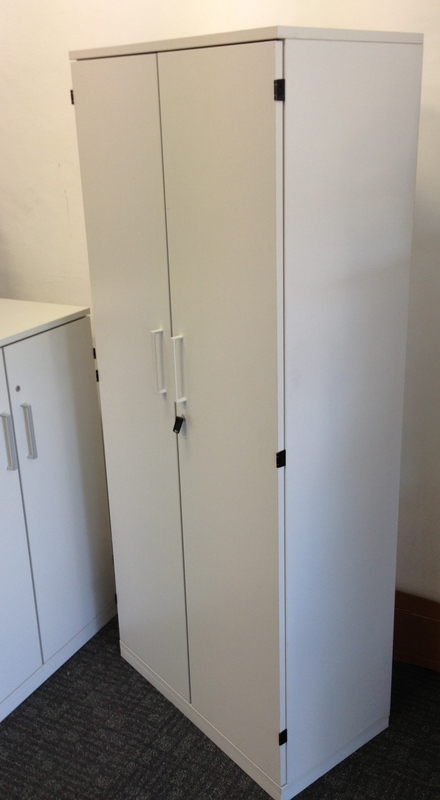 Made by Steelcase who are a leading office furniture manufacturer in the USA. 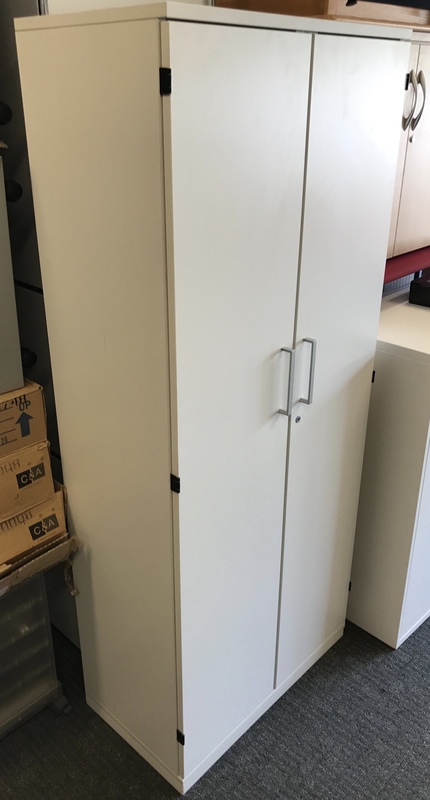 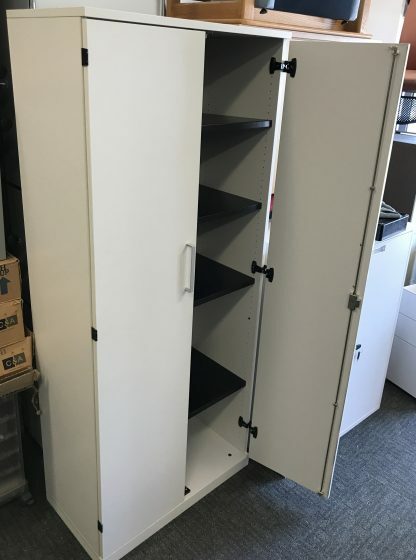 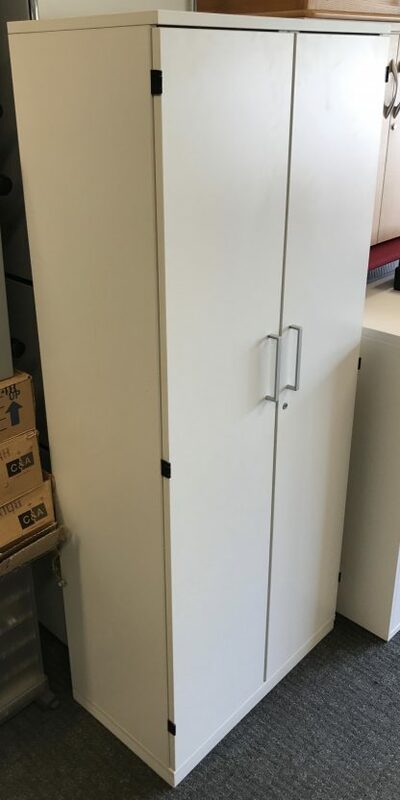 Each unit has 4 height adjustable metal shelves and offers generous storage space and good load capacity, they are constructed of white melamine. Each of the units has a lockable key and additional keys can be ordered through fast keys.co.uk. 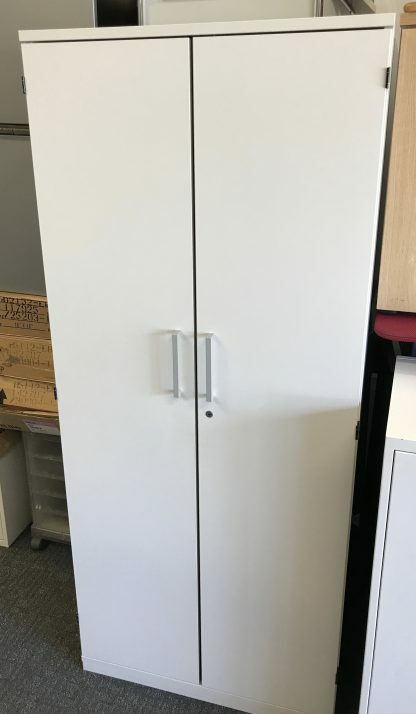 to give you added security. 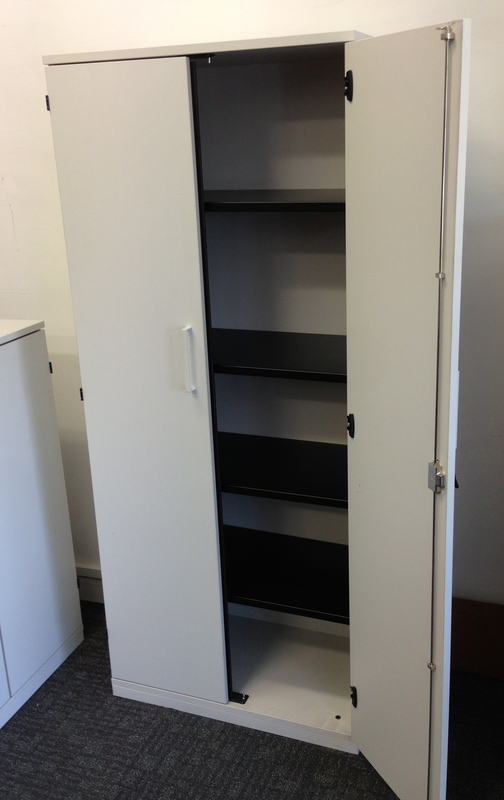 These really are excellent versatile units that compliment both the office, home, storage units, just about everywhere. 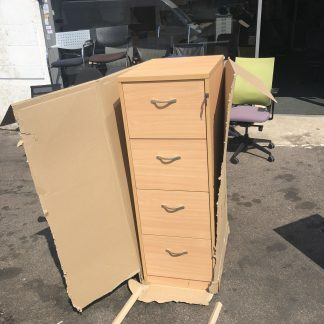 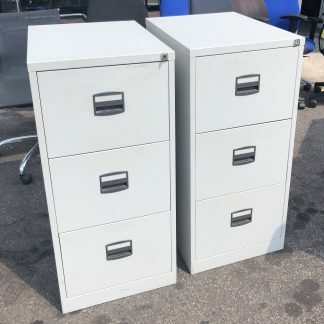 The overall condition of these units is very good, yes there maybe some cosmetic marks on them, but nothing to detract from the general appearance. 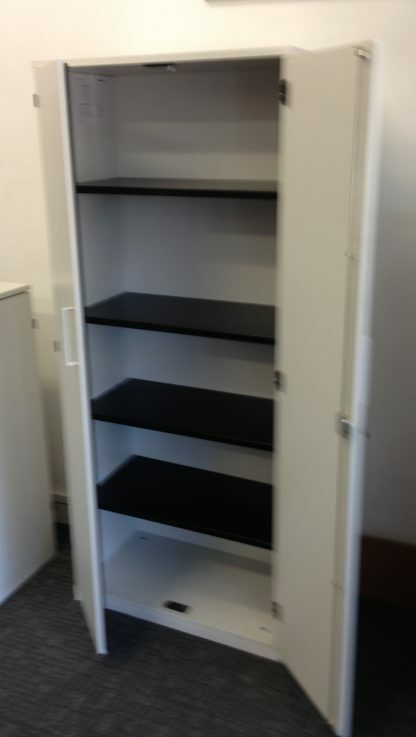 Due to the size and weight of these units I am not offering postage in the conventional way, but you can contact me us for a quote or local delivery. 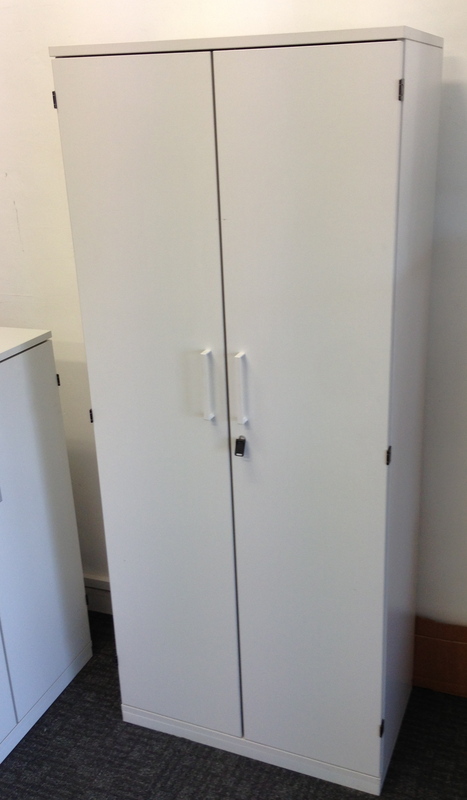 Alternatively collection is both free and welcome. 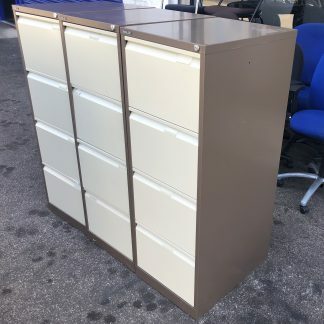 Metal 3-Drawer Filing Cabinet Storage Units.